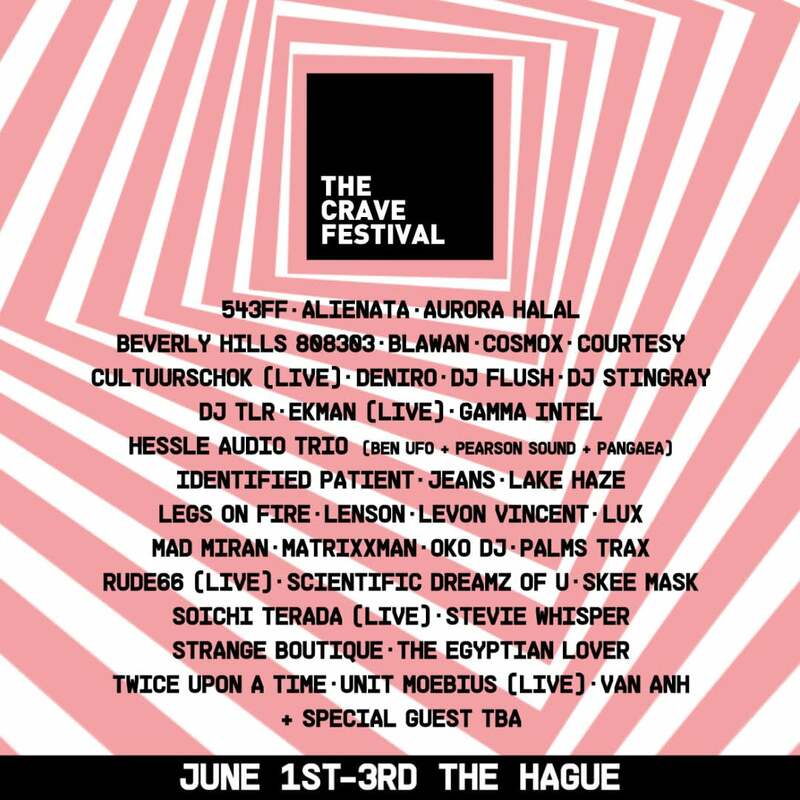 The third edition of The Crave Festival sees the Den Haag based festival expand with an opening night celebration, two after parties and a closing beachside event. With previously confirmed headlining acts Hessle Audio Trio, Egyptian Lover, DJ Stringray and Aurora Halal, a slew of new names have now been added to complete the 1 – 3 June event. Cult legends Unit Moebius and Rude66 now open the weekend with a live performance at Het Magazijn, while Identified Patient and Stevie Whisper provide an all night b2b set. Then, after joining the festival in Zuiderpark, visitors can choose between Techno expert Matrixxman, alongside Mad Miran and Den Haag locals. While at PIP Den Haag, Berlin label Killekill hosts Alienata, DJ Flush and Lenson; the bunker room is dominated by electro with Legs on Fire, Lake Haze and a live set of Culture Shock, and Skee Mask handles the bar room. Finally, the entire weekend will culminate with a magical evening at Whoosah Beachclub with an all-nighter from Palms Trax.